Including what an index fund is. Cryptocurrencies are still the new kids on the financial block. However, Coinbase — one of the world’s largest exchanges for buying and trading crypto — is starting to look a whole lot like a Wall Street veteran. Just last week, it found itself on the wrong end of an insider trading lawsuit; now, it’s launching an index fund. Coinbase isn’t the first company to create a crypto index fund. However, it is by far the biggest and most popular company to do so. Its decision to dive into asset management could propel the crypto market to unprecedented heights. Here’s everything you need to know about the Coinbase Index Fund and what it means for you and the future of crypto. How is this different than investing in a cryptocurrency? When you invest in any asset — a stock, real estate, bitcoin — you’re paying the current market value for that particular asset in the hope that it will eventually increase. Then, when you sell the asset, you make a profit. When you invest in an index fund, you’re investing in a group of assets. For example, instead of buying stock in Microsoft, you might choose to invest in Standard & Poor’s 500, an index fund based on the value of Microsoft and 499 other large companies. When the collective value of these companies increases, so does the value of your investment. When an investor puts money into the Coinbase Index Fund, they are betting on the long term success of the crypto market as a whole, rather than a single cryptocurrency. Specifically, the value of the fund will be tied to that of four of the best performing cryptos in ratios that reflect their market capitalization — that is, their total market value. Bitcoin represents the largest share of the market, so it represents the largest share of the index fund — 62 percent — followed by 27 percent ether, 7 percent bitcoin cash, and 4 percent litecoin..
Index funds have a number of benefits over other types of investment opportunities. Investors don’t have to put in much work or money to manage them, and because the fund spreads out the investment, it is relatively low-risk. You don’t have to worry about losing all of your investment because a single company’s stock plummets, but you also aren’t likely to make a ton of money overnight. Statistically, index funds perform better than actively managed investments in the long run, which is why index funds are a staple of retirement planning. An investor can add money to an index fund and just wait for it to grow. 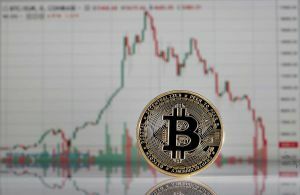 The cryptocurrency market is still relatively young and volatile, and individual cryptocurrencies can skyrocket or plummet overnight. Not everyone is going to want to spend the time required to make money investing in these currencies, but they still might believe in the value of the crypto market as a whole. By establishing an index fund, Coinbase is giving these crypto supporters a chance to invest in digital currencies without all the hassle that goes along with choosing which individual cryptos they think will do best. First, let’s look at who can invest. Unlike individual cryptocurrencies, which anyone can invest in, only a specific segment of the U.S. population can invest in the Coinbase Index Fund: accredited investors. An accredited investor can be a person or a group, but they must meet certain financial requirements, according to rules from the SEC. An individual must have a liquid net worth of at least $1 million (not counting the value of the home in which they live) or an earned income of at least $200,000 per year for the last two years ($300,000 together with their spouse). They also have to expect that their income won’t drop below that threshold in the next year. For a group, such as a corporation, a nonprofit, or a bank, to be an accredited investor, it must have more than $5 million in assets. If all the individual owners of the group are accredited investors, the group can be an accredited investor, too, even if it doesn’t meet the group asset requirement. The current minimum investment for Coinbase’s index fund is $10,000, so those most likely to invest in it are financially well-off people or corporations with a good bit of money to play around with. These people likely already invest in other assets, and now, Coinbase is offering them a lower-risk way to dabble in the crypto market. Eventually, though, the rest of the population could join them. Coinbase says it plans to launch additional index funds that aren’t limited to just accredited investors, and these could have much lower minimums. If you meet the requirements of an accredited investor, you could potentially make money by investing in the Coinbase Index Fund. For the vast majority of us who don’t, however, the establishment of the fund may still be heartening news. The more investors can feel that crypto is reliable and works the way proponents say it does, the more willing they may be to apply the blockchain, the technology supporting cryptocurrencies, to other things. People have been coming up with applications for blockchain that would intersect with nearly every aspect of our lives, from improving the quality of healthcare to helping train the autonomous car that takes us to work one day. It could even protect your privacy online and help save the environment. The establishment of the Coinbase Index Fund puts us one step closer to that blockchain-supported future. If successful, the fund could mark the turning point between crypto’s infancy and its adolescence.